The quiet, comfortable and warm welcome of carpets make it easy to see why so many people make them the flooring choice to come home to. 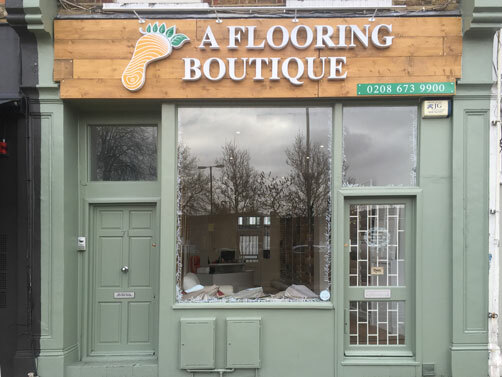 A Flooring Boutique, your trusted carpet suppliers and carpet fitters offer our services to customers in and around London, with a large selection of carpets available. We operate from our own showroom in Balham, but also provide our carpet supply and fitting services for customers throughout South London and Surrey. This ensures we’ll always be able to supply you with something that works perfectly with your lifestyle. Call us on 0208 673 9900 today. I just wanted to drop you a quick note to say a big thank you for doing such a brilliant job fitting our new carpet, it's really transformed the room and you've done a great job making it look very tidy with the beading around the edge of the room. We're very pleased with it. A Flooring Boutique offered me great advice, and a great deal, the carpets look fantastic, their fitters were very professional, I would highly recommend them, thank you again. From choosing our new carpets, to the fitting in our home, everyone at A Flooring Boutique were fantastic, our floors now look and feel amazing, thank you so much. We had quite a few rooms which were in need of an refresh, I am so glad we came to A Flooring Boutique, their advice was invaluable, and the service was seamless from start to finish. As expert carpet suppliers and carpet fitters with 15 years of experience and a passion for our work, quality plays a role in everything that we do, whether this is in terms of our carpets and flooring, our high-end fitting or our exemplary customer service. Attention to detail is important to us, so we always take care of the little things. Our company offers a full and exciting range of floor coverings, including carpets, wood flooring, tiles and commercial flooring. Clients can choose from some of the best-known brands in our marketplace, including Penthouse, Telenzo, Woodpecker, and many others. Discover hundreds of carpets and flooring choices at our Balham showroom, from rustic Berber and hardwearing twists, to our outstanding selection of pure wool and colourful childrens carpets. At A Flooring Boutique, we’ve always taken pride in being able to supply you with products that have an extra little something about them. We want YOU to be our next satisfied customer! Call us on 0208 673 9900 today. We’ll always do our best to be competitive on price. If you’ve seen a deal on carpets, flooring or vinyl elsewhere, we’ll try to match it. We offer free estimates for all our flooring products and services without obligation. We also offer free measuring, and expert flooring advice. All workmanship is guaranteed for 12 months and as a company, we are fully insured. Our carpets are guaranteed for up to 25 years. While much of our work takes place in Balham, Clapham, East Dulwich, Streatham, South London and Surrey, we consider projects further afield. Exciting new products and classic designs are available to complement any home. All of the carpets and flooring we provide come from respected and branded flooring manufacturers. All carpet fitters working for us are fully trained to NVQ, City & Guilds, or B-Tec Standards, so you can be assured you are in great hands. We supply eco-friendly carpets and flooring from progressive manufacturers. I will definitely use A Flooring Boutique next time we need carpets. Billy could not have been more helpful and efficient, excellent communications, speedy service and top quality fitting which is hugely important. I am delighted with our renewed stairs and landings, thank you. Excellent service from Billy and his team at Flooring Boutique. Helpful & reliable. Very professional service from going into the shop to installation. Highly recommended. Billy and his team are highly professional and provide excellent customer service. The carpets that have been fitted in my school, where I am headteacher, are of excellent quality, very competitively priced and have been fitted exceptionally well. Billy has been extremely helpful on numerous occasions, he has advised on suitable carpets and has ensured that the finish is to the highest standard. I would highly recommend this company and will certainly be using them again in the future. A Flooring Boutique provided an excellent service from start to finish. When we first arrived at the store we weren’t sure what we wanted but thanks to the great guidance and expertise offered we soon came to a decision we were really happy with. We had our loft extension carpeted, as well as two stairways and the lower landing and we are over the moon with how it looks. We would not hesitate to use them again. Excellent service from start to finish. I needed this job done quickly and they went out of their way to fit me in and complete on time. Two great new bedroom floors in a really quality laminate. All very relaxed with outstanding attention to detail. Definitely would recommend. Thank you.